Made of high quality stainless steel. Seawater and acid resistant. The spring steel keeps the hoops in the original shape. 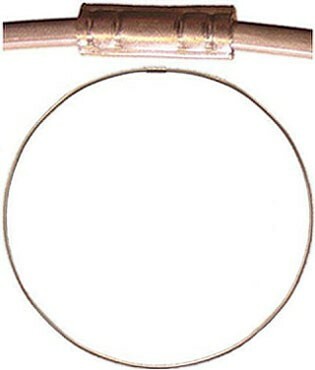 With high pressure the stainless steel connecting ferrules have been pressed on the hoops. The squeezed grooves prevent the ferrules from slipping.